A rainbow of colours but there’s one hue that will forever have our hearts: Pink. Whether it’s lilies or lipsticks, pink never goes out of fashion and remains an all-time favourite, amirite? Especially, now, with it raining cats and dogs and the sky is all gloomy, a colour like pink is a sight for sore eyes. They say ‘pink is not just a colour, it is an attitude’ and we second it - pink isn’t just a girly girl colour anymore. While spiritually, pink stands for unconditional love and affection, in colour psychology the colour stands for hope. We all need a little bit of all of those in our lives, don’t we? Sartorially, any shade of pink is in season all through the year. From soft pastels to faded dirty pinks, you can never go wrong with pink. All the more reason to have lots of it in your closet, don’t you think? Especially in your Indian wear and accessories line-up. 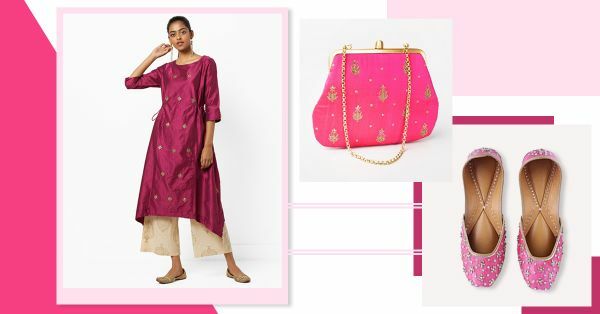 Your desi wardrobe deserves a splash of pink to brighten it up and we’re helping! 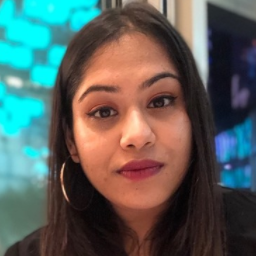 Here are 8 Indian pieces that are making us sing ‘gulaboooooo’ on loop! Magenta has had a makeover and there’s no reason to stay away anymore. 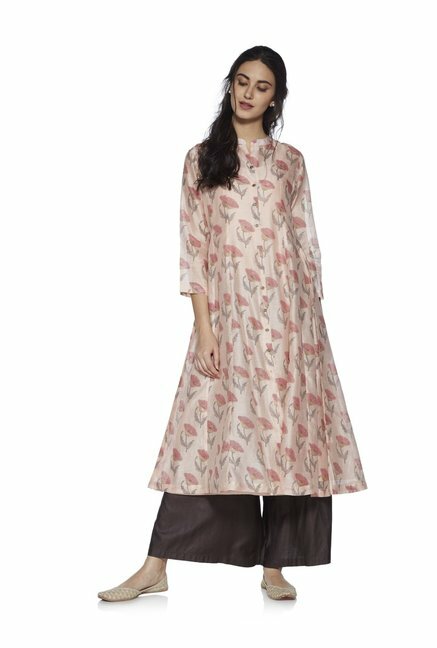 Not when you have this jamuni ensemble in your closet! 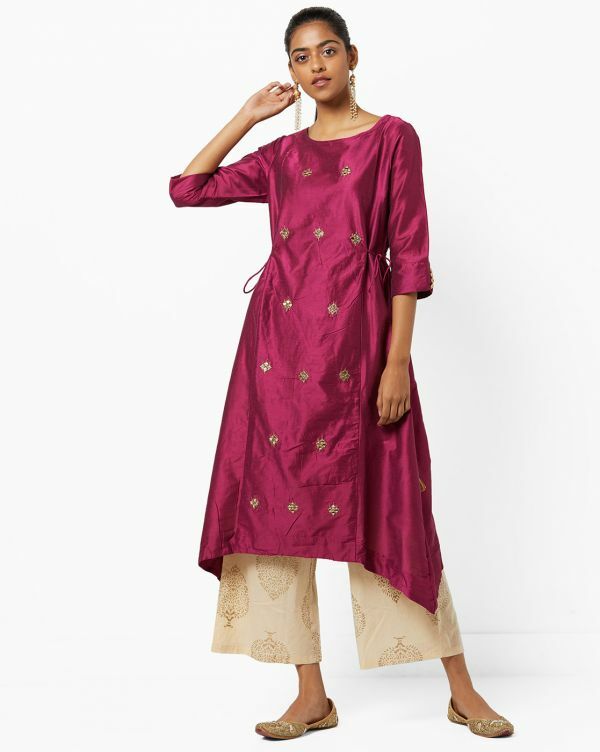 Style this kurta and palazzo combo with an ivory dupatta, pearl jhumkas and an embellished potli bag for a day wedding. Feels like these are the juttis that our Indian wear has been waiting for all their lives! Not kidding, we would wear these sequinned candy pink juttis with our jeans and t-shirt combo too. Jaipuri florals are prettier when in pale pink, amirite? Wear this summer-worthy kurta as a dress with Kolhapuri chappals, gold hoops and a tan coloured tote. Lunch date ready in a jiffy. P.S. It’s pure cotton! If you don’t believe in love at first sight on seeing these rani pink pants, you might as well give up on it. Wear a short yellow kurti over this pair, put on some metallic heels and don’t forget that embroidered clutch… voila! Your mehendi outfit, madame. 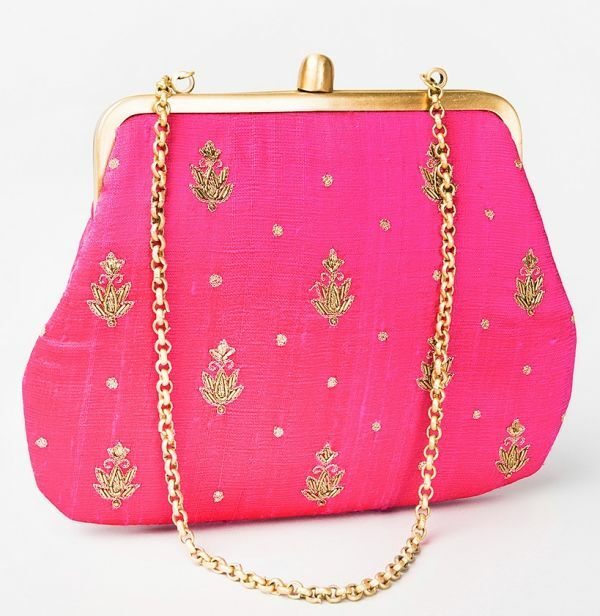 Shaadi worthy bags that are also convenient to carry aren’t easy to spot, are they? You’re welcome for finding you this rani pink dainty purse. Now you can use your hands for something more important… like holding your pink drink at that cocktail, no? The eighth wonder of the world, ladies! 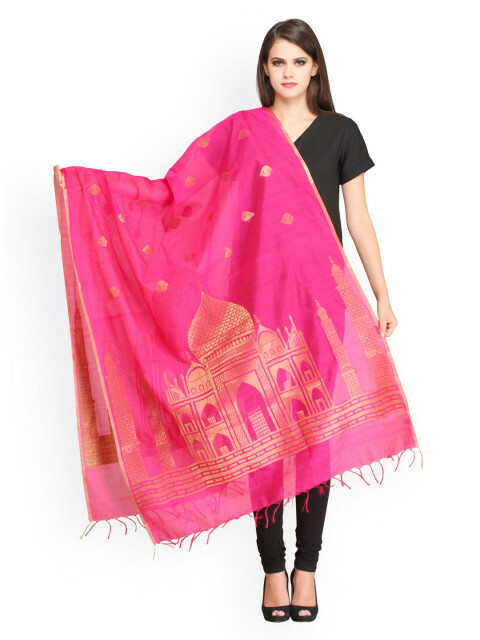 With this woven Banarasi dupatta on your arm, the ‘Shah Jahaan’ to your ‘Mumtaz’ can’t be far behind, can he? Speaking of cocktails, that fusion gown needs a pair of dazzling earrings to go with it, doesn’t it? Thank God we spotted these stunning fuschia and emerald green drop earrings. In fact, these will elevate any Indian look - whether it’s a saree or a simple Anarkali. Cloth covered bangles are our weakness. Hard to say no when you come upon perfect pink silk bangles with the quirkiest hand embroidery on them, right?